Well this turned out to be a fantastic sandwich. 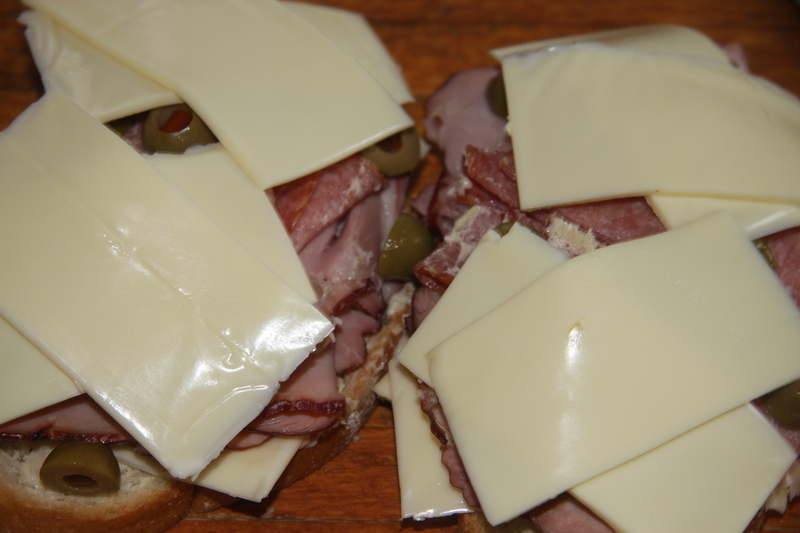 Initially it started out to be a ham, salami and cheese, topped with olives. By the time I finished it had all those ingredients but with one minor change. I decided to put it on the panini press. 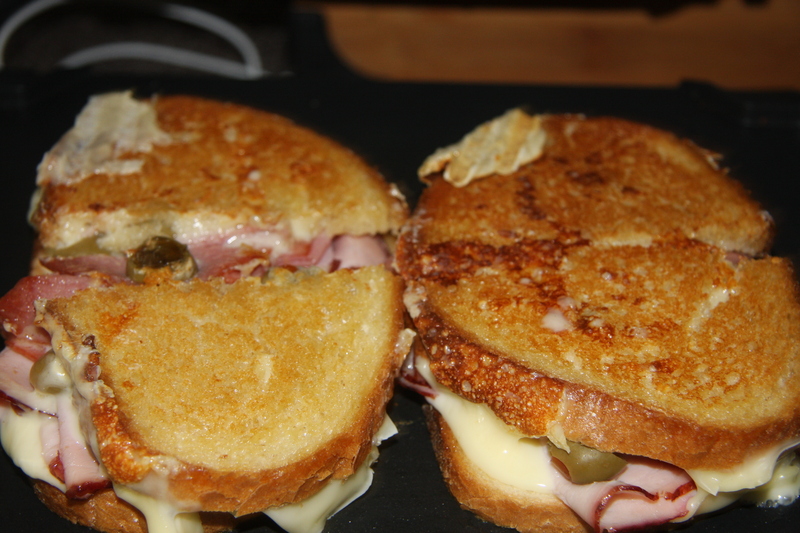 Has anyone out there ever had a sandwich cooked on the panini press after its cooled off? Great for picnics. Served with veggies and fruit it can be the answer to a different picnic lunch. Make it ahead of time, wrap it or store it in a zip lock bag. Wonderful! Or, you have the option to have it without heating it. Either way you can’t lose. Try this one either hot or cold. 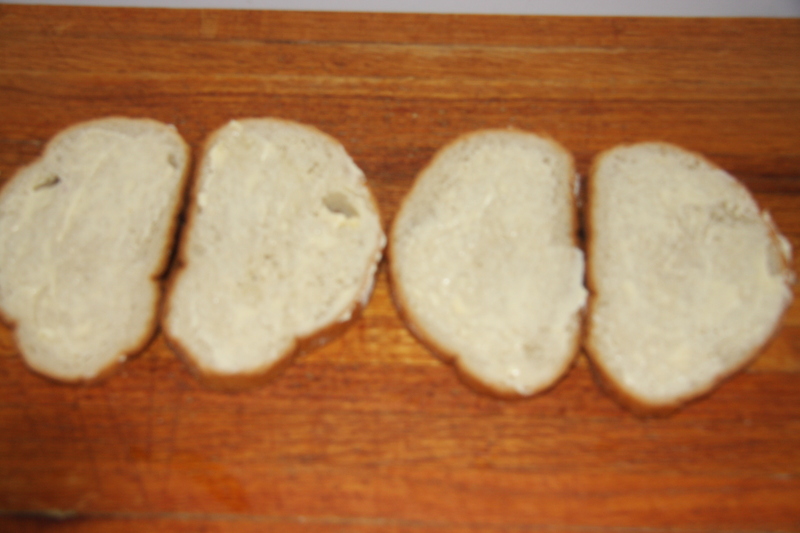 Butter bread for as many sandwiches as you need. In this case it was for 2 sandwiches. Top with 2 slices of mozzarella on bottom piece of bread. 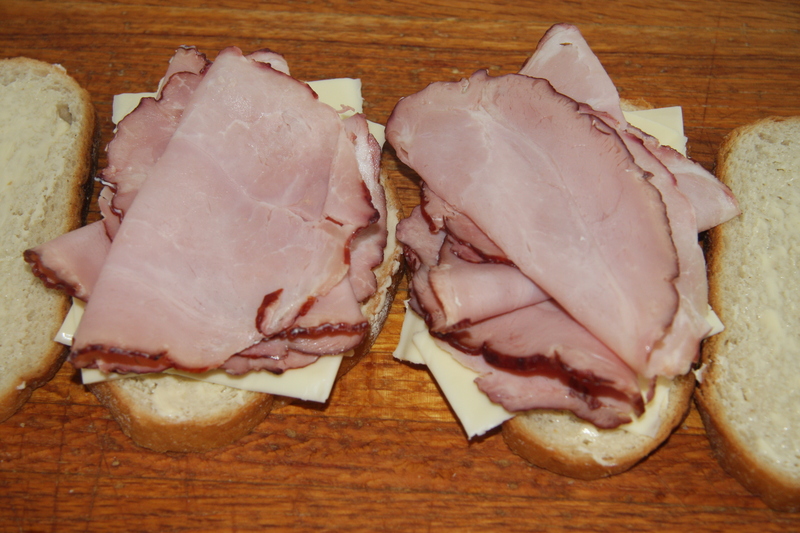 Then fold 3 slices of black forest ham on top of the cheese. Sliced olives and another 2 pieces of mozzarella cheese. And cook it until it was golden on both sides. If you don’t have a panini press, make this like you would a grilled cheese. Two heated cast iron skillets would work great. Serve it up with veggies, fruit and even a glass of wine. What a fabulous meal for anyone. 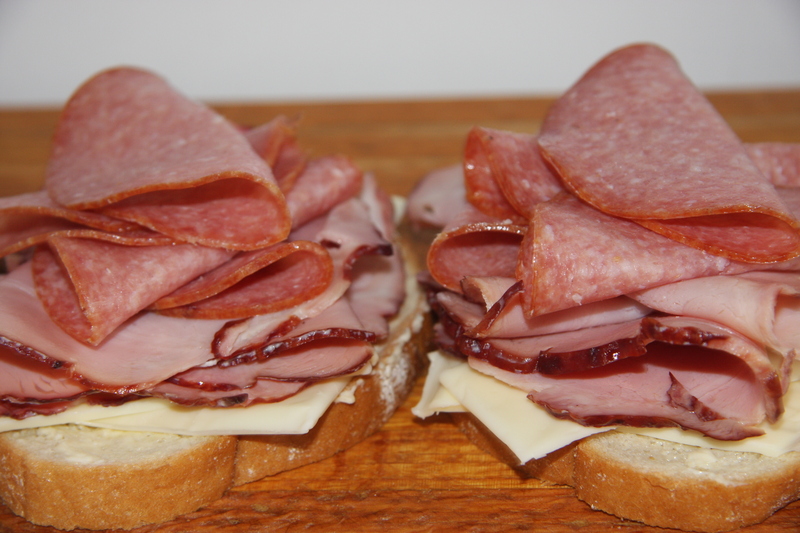 Butter 4 slices of bread then top with cheese, ham, salami, mozzarella cheese and olives. 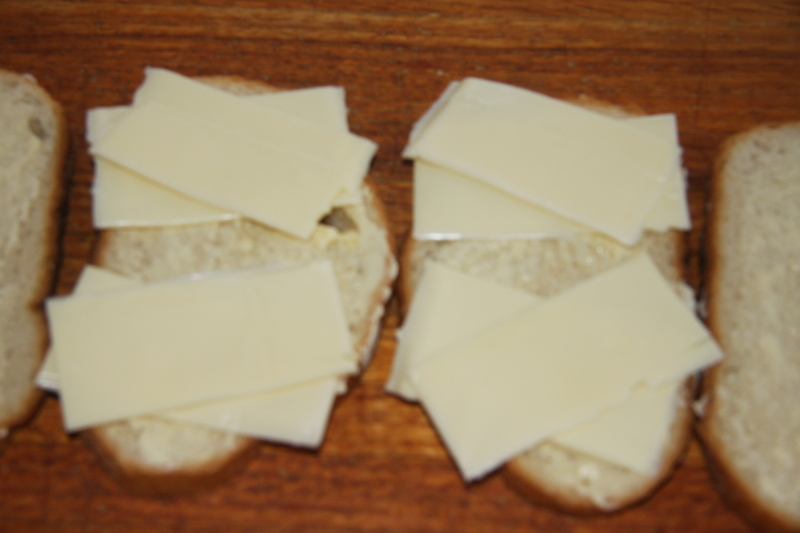 Then finally topping with another 2 slices of cheese and bread. Cut in half and your good to go. Unless your like me and decide to make into a panini sandwich. 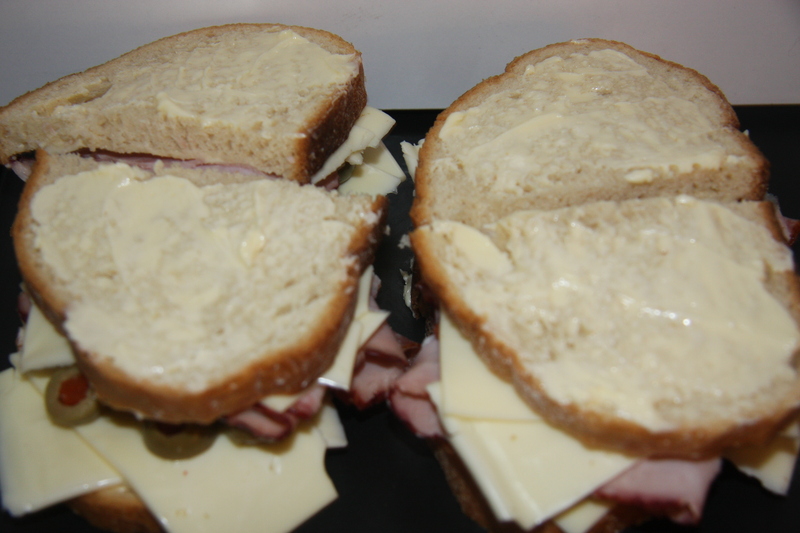 Then you place the sandwich onto a grill and brown on both sides. 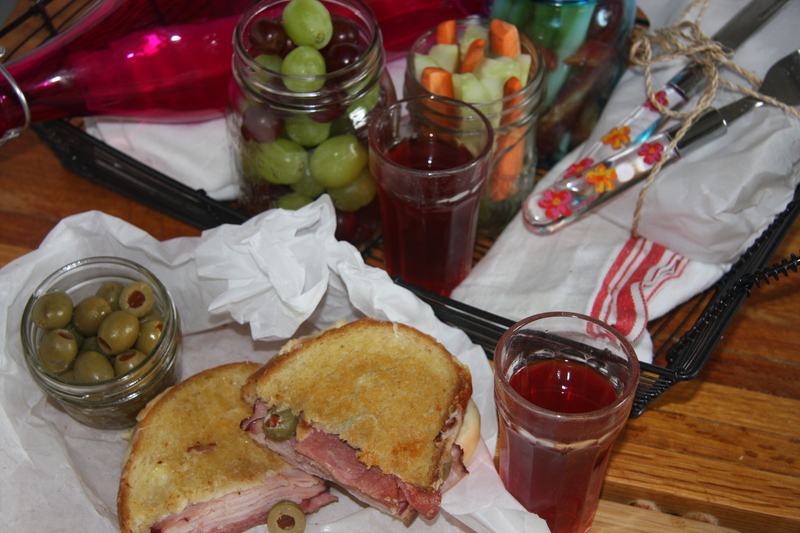 Serve immediately or cool and pack for a picnic lunch. Mine kind of food. Great for a picnic.